Reincarnated Registry Who where you? The name of the person the recipient used to be. 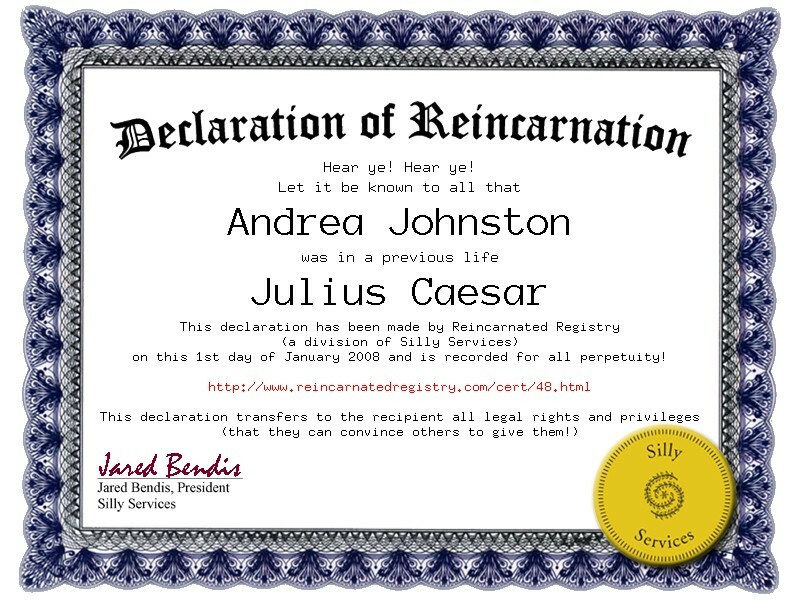 To be a reincarnation this person should have died before the recipient was born. Declaration of Reincarnation remains publicly accessible.